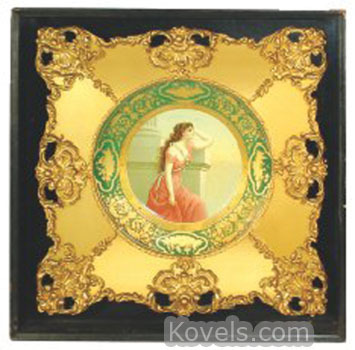 Vienna Art plates are round metal serving trays produced at the turn of the century. 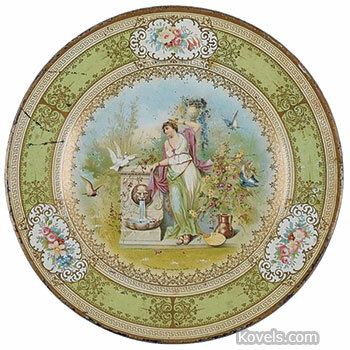 The designs, copied from Royal Vienna porcelain plates, usually featured a portrait of a woman encircled by a wide, ornate border. Many were used as advertising or promotional items and were produced in Coshocton, Ohio, by J.F. Meeks Tuscarora Advertising Co. and H.D. Beach's Standard Advertising Co. Many pieces date from the early 1900s.